9 God is faithful; by him you were called into the fellowship of his Son, Jesus Christ our Lord. 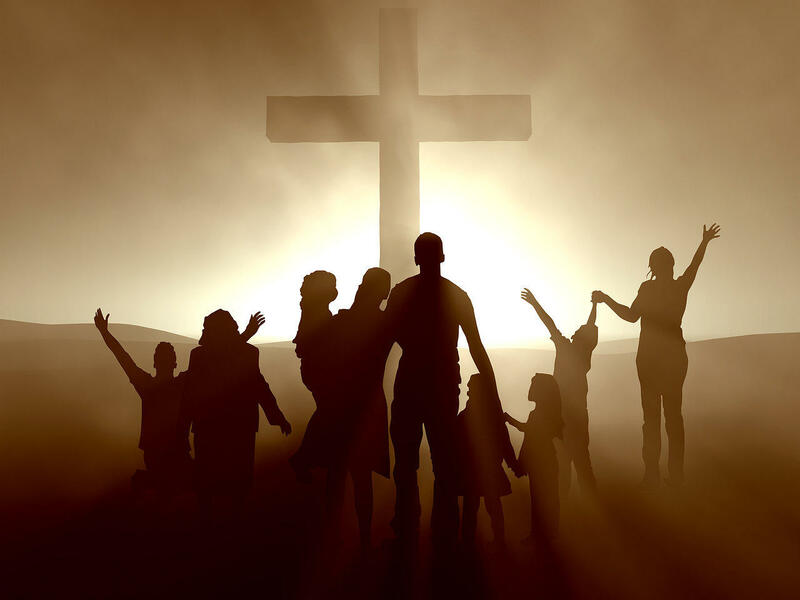 10 Now I appeal to you, brothers and sisters, by the name of our Lord Jesus Christ, that all of you be in agreement and that there be no divisions among you, but that you be united in the same mind and the same purpose. 11 For it has been reported to me by Chloe’s people that there are quarrels among you, my brothers and sisters. 12 What I mean is that each of you says, ‘I belong to Paul,’ or ‘I belong to Apollos,’ or ‘I belong to Cephas,’ or ‘I belong to Christ.’ 13 Has Christ been divided? Was Paul crucified for you? Or were you baptized in the name of Paul? This is the way it worked in Paul’s time. Preachers in churches weren’t sent by the conference nor were they called by the local church. There were wandering itinerant preachers that came to the town and to the church, stayed for a while, and then moved on to the next town and church. And they would have been followed by another preacher in much the same way. So the same church, over a period of time, would have had several preachers come through and teach. And that’s what has happened here in Corinth. There have been several preachers come through, and the loyalty that the members of the church have towards their “favorite” preacher is one of the many things that is dividing the church. That is why Paul reminds them, none of the preachers that they know has divided for their sins. They were not baptized in the name of any of these preachers. They were called into salvation by God, not by any human. Now God may have used that human, but that person was not the cause of their salvation. God is the one calling us into salvation and God is the one that is saving us. I think for us today, this is an important reminder. We all have our preferences and our favorites. We all have things that impactful to us. We have a preacher that really speaks to us. Or a style of worship that truly touches our heart or a hymn that really impacts us. Or a denomination (or local church) whose theology and structure that we like. And these things are all wonderful. I am the same way. But the danger is this. When we allow these things to divide us as believers. Just because you or I have something or someone that is the way that we prefer it, doesn’t mean that someone that has a different favorite preacher or style of worship is not our brother or sister in Christ. Because we aren’t saved by preachers or styles of worship or denominations or anything such as that. We are saved by Jesus. So, if you are believer, then you are family. We can’t allow these things to divide us. We are one. And the world needs us to be one. Let us love each other, even when we disagree over these things. Because the love that God has placed in our hearts must be bigger than any of this! As followers of Christ, let us love! If you’d like to be added to my devotional list, shoot me an email, and I’ll add you! 13 He went up the mountain and called to him those whom he wanted, and they came to him. 14 And he appointed twelve, whom he also named apostles, to be with him, and to be sent out to proclaim the message, 15 and to have authority to cast out demons. 16 So he appointed the twelve: Simon (to whom he gave the name Peter); 17 James son of Zebedee and John the brother of James (to whom he gave the name Boanerges, that is, Sons of Thunder); 18 and Andrew, and Philip, and Bartholomew, and Matthew, and Thomas, and James son of Alphaeus, and Thaddaeus, and Simon the Cananaean, 19 and Judas Iscariot, who betrayed him. A couple of things that we notice in this passage. First, some clarifications of language. Here it says that He appointed “Twelve.” They aren’t given a title. 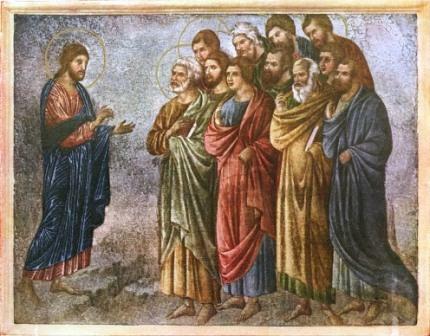 Before the Resurrection, these twelve are called Disciples and after they are called Apostles. Same people, though. The definition of an Apostle is one that Jesus appeared to and gave a specific task. That’s why Paul is an Apostle, even through he was not one of the Disciples. Another thing is that there are different “levels,” if you will, of people who follow Jesus. There are the general crowds that follow Him when He preaches, but those crowds go back to their homes when the day is over. Then there are the women that followed and supported His ministry, like Mary Magdalene. And in this culture this is extraordinary. Women didn’t leave the home, much less follow an itinerant preacher around Galilee. But Jesus included them in His followers and it was Mary that was the first tell anyone that He had risen from the dead. Then you have the 72 that Jesus sent out to do ministry as well. This would have been those that were close to Him, that were faithful and that followed Him. He had a large group with Him at almost all times. But we see in this, the Twelve. There is great symbology about the number twelve, remember there were twelve tribes of Israel, in appointing twelve, Jesus is showing that His ministry stands fully in line with the Old Testament and that all the promises of the Old Testament were ultimately pointing to Him. Notice, though who He calls. Not many were educated. They were fishermen. They were common. In fact, we don’t know a lot about many of them. But let me tell you my favorite thing about the Twelve. There is Simon the Cananaean. And there is Matthew (or Levi) who we saw Jesus call earlier. Matthew as a tax collector. Simon was a member of a group known as the Zealots. The zealots were a group of Jews that wanted to drive out the Romans. They HATED the Romans. They would often carry a dagger in their belt so that they could kill a Roman when the chance came. And you know they only people they hated more than Romans? Tax collectors. Why? Because tax collectors where traitors. They betrayed their people to work for the Romans. Man on man, did they hate tax collectors. And who were two of the Twelve? Matthew, a tax collector. And Simon, a zealot. Through Jesus they could move past their hatred, their distrust, all the baggage that they brought to this group. Through Jesus they could. Through following Him, through making Him their Lord, they could. If they focus on their “stuff” they would have killed each other. If they focus on Jesus, they have unity. 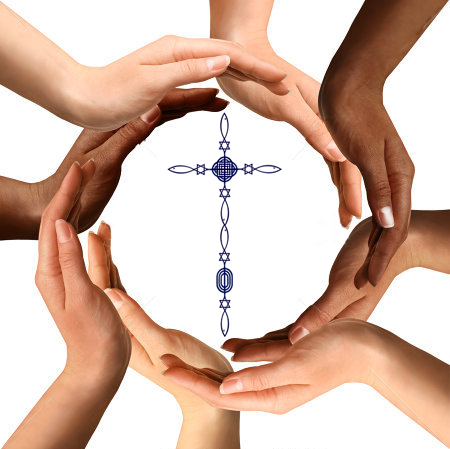 When Jesus is in the middle, He brings life out of our diversity and difference. When we put our “stuff” in the middle, it tears us apart. Jesus was able to bring unity out of such great difference. And He can do the same today. May we find our unity and purpose, today and each day, in Jesus Christ. Tomorrow we’ll look at Mark 3:20-30. If God So Loves Us . . .
My childhood pastor (Bill Poole) was one of the most gifted pastors and teachers I’ve ever had in my life. Even though I was young when he was my pastor, so many things he said have stuck with me through the years. One of the things that he said that I always remember is that “if” is the biggest word in the Bible. Anything that comes after “if” is huge. Just huge. “If” is one of those words that holds the Bible. “If” determines so much about life, faith, everything. Normally “if’ is the word that hold’s God’s truth together with our action. In this passage, we are reminded that God loves us. And then we are told, if God has loved us, then we ought to love one another. That’s it. That’s what we have to do. That’s what we are called to do. The first question in this we must ask ourselves is this. Does God love us? The answer to that, without a doubt all throughout Scripture is yes. God loves us. He adores us. He sent His son to die for us and be raised for us. He loves us. Really. He does. Do you believe that? That’s the first question you’ve got to answer is do you believe that? “If” so, then we must love each other. We must. We are not given an out. We are not given a choice. We are not given an excuse. We must love each other. Love is the language of faith. Love is our hope, our peace, our joy, our purpose. God has loved us. He has. We have to love each other. It’s hard. Very hard. We don’t want to sometimes. But we must. Because as believers, it’s who we are. There’s that old hymn “They Will Know We are Christians by our Love” (Jars of Clay did a cool version of it a few years ago that I really like) that really sums this up – that always comes back to that statement – they will know we are Christians by our love. Today, that’s our calling. Even when it’s hard. Even when you don’t want. Even when you don’t want to. It’s who we are. If God has loved us, we must love each other. Today, may each of us do that, through the grace and love of our Father. One of the most important passages in all the Bible, to me at least, is John 17. 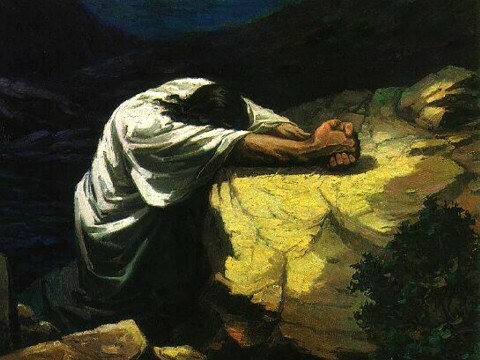 In that chapter, we see Jesus praying. But’s not just any prayer, it’s a prayer that He’s praying for His followers that are yet to come. Of all the things that Jesus could focus on at that time, that’s what He says. I pray that the believers that would follow me that they would be one. Isn’t that what the faith should be about? No matter what church, or denomination, or tradition, or worship style, or theology we are a part of, shouldn’t we be one? Aren’t we saved in the name of the same Jesus? Don’t we worship the same Triune God? Don’t we have the same purpose, the same calling, the same hope? Aren’t we brothers and sisters, not competitors? Shouldn’t we rejoice in each other’s victories and weep in other’s defeats? Shouldn’t we love each other? Because we are family. We are. If we are in Jesus, we are family. We are one. That was His prayer for us. Jesus. Prayed for that. That’s what I want us to be about here in Petal. And everywhere. And I hope that I can do my best to make sure we are one. That’s our Lord’s prayer for us. May we seek to be faithful to that. We ARE one today. As Christians, as churches, we ARE one. We are part of the same body. We are brothers and sisters. We are family. We are. We aren’t given another choice or option today. We are one. Even if we don’t like each other. Even if we don’t agree with each other. Even if we have different worship styles. 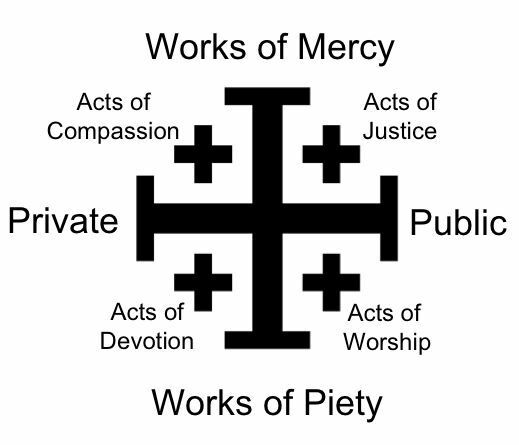 Or views of communion or baptism or church structure or any of these things. We are one. 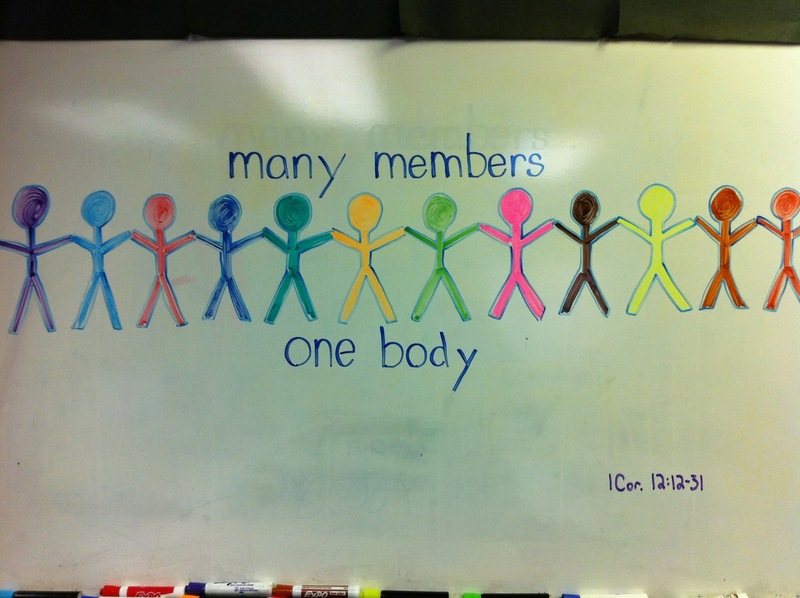 Paul writes – “and all the members of the body, though many, are one body, so it is with Christ.” So is it with Christ. We are one. Now, it’s ok to have different views. To say we are one isn’t to say that we always agree with each other. Or like the same thing. Or view it the same way. But it means this. We are family. We are on the same side. We are on the same team. We have the same goal. We have the same purpose. We have the same Lord, and are made to drink of the same spirit. We are family. So, let’s stop fussing with each other. Let’s support each other as churches and as individuals. Let’s show the world the love of Christ, by first loving each other. We are one. Really. Lets love in that way. The Body is Like . . . I guess I’ve started a trend of pop culture devotionals! Yesterday we talked about how God calls use to places that we don’t want to go, and I used Doctor Who as part of my illustration. 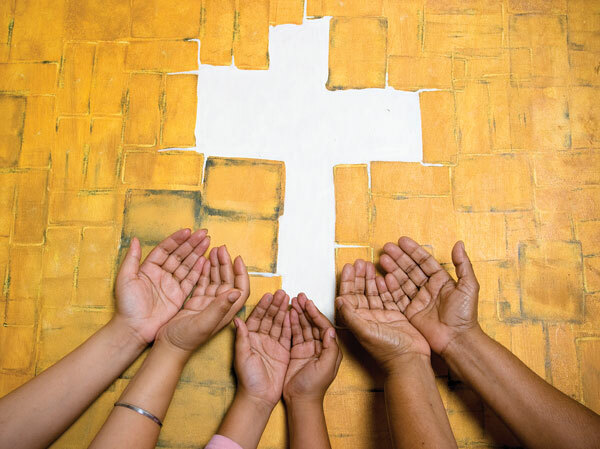 Today, I’m talking about the Body of Christ. And I’ve got a totally different pop culture reference. But as it is, God arranged the members in the body, each one of them, as he chose. If all were a single member, where would the body be? As it is, there are many parts, yet one body. The eye cannot say to the hand, “I have no need of you,” nor again the head to the feet, “I have no need of you. One of the things that we can be tempted to believe, as Christians, is that what we are passionate about is the most important thing. And if you really loved Jesus like I love Jesus, then you’d care about my mission, or my passion or my whatever. Or, if you really loved Jesus, you’d like my style of worship. Or go to my church/denomination. Or share my view point. And, that’s simply not the case. Paul reminds us that we are body. We are all different. We all have our different callings, different passions, different likes, different dislikes. We are all different. But, we focus not on our differences, and focus on the Gospel, and focus on the things that unite us, we see this. We all matter. And the body needs all our passions. It needs your passion. It needs my passion. It needs all of us. And all of us have a part to play. Individually, we are ok. Together, we can do AMAZING things for the Kingdom. We are stronger united and together than any one of us are alone. Yes, Volton. Each of the lions has as different strength (and color) but they only achieve their true purpose when they unite. Then, they smash evil and accomplish good (all in 30 minutes, no less)! So, today, let’s work together. Let’s do great things. Let’s unite for the kingdom. And do amazing things. 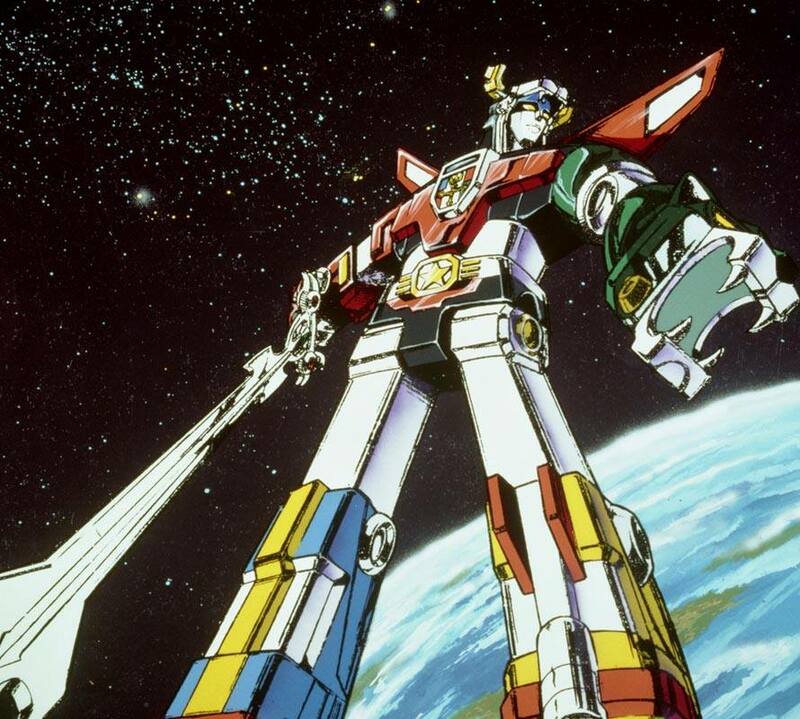 When we do that, just like Voltron, we find our true strength, and are able to defeat the darkness, and bring forth the light. By being the Body. And working together. We as Christians, we are one. We may be part of different local churches. We many share the exact same view of every issue or every belief. We man not be the same mind on everything. There is one body. There is one Spirit. We are part of the same body. There is one body. One spirit. One hope. One Lord. One faith. One baptism. One God and Father. The same Holy Spirit calls us into relationship with the Father through the Son. We share the same faith. We share the same hope. We share the same body. We all believe the gift of baptism. Yes, there may be differences between us all. But that’s ok. For we are one. Now, imagine if the church would live as one. Imagine if we would work together. Serve together. Make a difference together. There is so much for the kingdom that we can do together. So, today, let’s not “act” like we are one. Let’s realize that we “are” one. And let’s live in that reality. Today, let’s realize that there are so many more things that unite us, instead of separate us. We really are one. So, let’s treat each other as family. 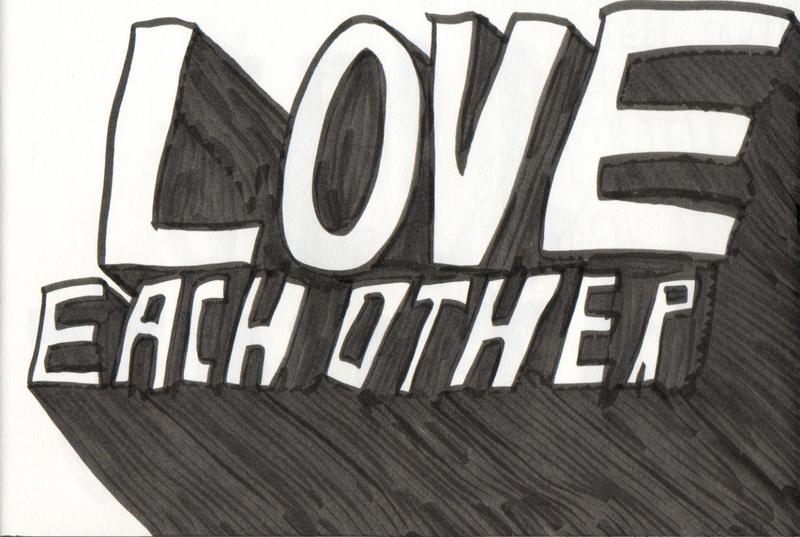 Let’s love each other. Let’s serve each other. Let’s serve with each other. We are one. Let’s show the world that. Let’s show the world our love, our Lord, our hope, our calling. We are one. Let’s live like it today!